Windows OEM License 10 32 / 64 Bits Multilanguage. OEM Lifetime License. 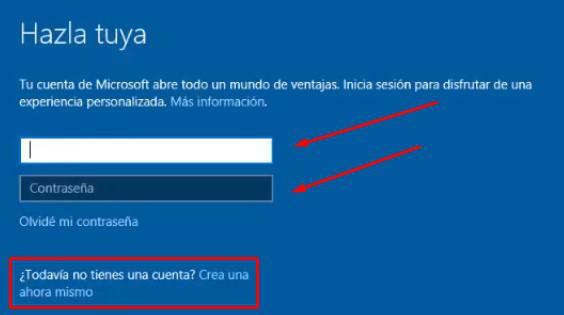 Do you want to buy a Windows 10 product key? 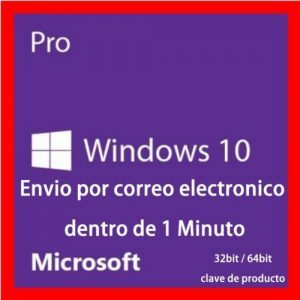 Now you can buy cheap and original Windows 10 licenses, exactly are OEM licenses for windows 10 PRO at a surprising price of 22,95 euros/$. These are lifetime licenses that allow all future upgrades to Windows 10 Pro. • According to the judgment of 06.07.2000 I ZR 244/97 of July 6, 2000 the Federal Court of Justice of Germany authorizes the resale of OEM licenses without associated equipment within Germany and the European Union. • On 07/07/2012, the ECJ reaffirmed this and extended it for discharge in all EU member states. • The Regional Court of Frankfurt ruled on 18.06.2014 (AZ 2-06 or 469/13) that the sale of an activation key without CoA stickers is permitted. The license works on both Windows 10 64bit and 32bit and is totally legal. I recommend you install the version of Windows 10 PRO 64 Bits (provided your processor is 64bit). If you buy your license of windows 10 pro in wifibit will send windows 10 pro product key to the mail. Which by the way does not work for the HOME version. If you have the home version you will have to delete it and install the PRO version. Do you know the price of a Windows 10 license? Out of curiosity click here to go to MediaMarkt and check how much a Windows 10 PRO license is worth. These licenses you can buy from several countries paying with your local currency, even from outside of Spain you will get cheaper because you will not have to pay VAT. Spain, USA, Argentina, Bolivia, Chile, Colombia, Costa Rica, Ecuador, El Salvador, Guatemala, Mexico, Panama, Paraguay, Peru, Uruguay or Venezuela. As you can see, apart from buying w10, you can also buy Office 2016 pro very cheap at todowifi.es. They even have a pack of windows 10 pro + Office 2016 Pro Plus for less than 30 euros where you can buy the 2 keys almost the price of 1. You can know exactly on this article how to download, activate and install Windows 10 pro. If your Windows 10 license expires soon, it’s a good time to buy it. It’s a good way to get a win 10 license without spending too much. Much better than unlawfully downloading it. See all Software Licenses at La Tienda de las Licencias. If you need other licenses, you also have Windows Server 2016, AutoCAD 2018, Windows 7, Visio or Project. The difference of this license with those of El Corte Ingles or pccomponentes.com is impressive. The w10 licenses are much cheaper in here than in other stores. 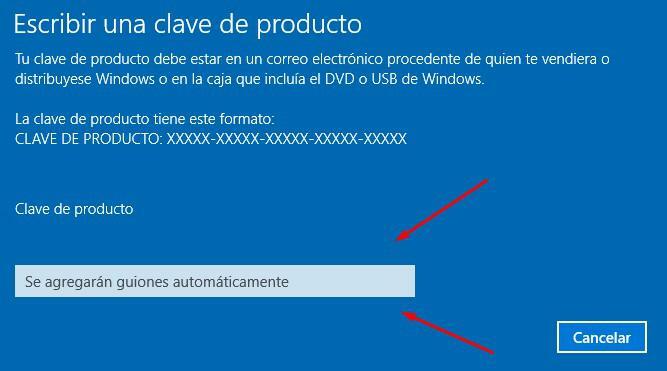 That if they are OEM licenses, what you buy is the activation key, and not the DVD with Windows, the software you will have to download from the official website of Microsoft. There are also Windows 7 cheap and Windows 8 licenses. They are the OEM licenses, ie they are included licenses when you buy a PC, but from PCs that have never been used, therefore this w10 license has never been to activate. If you want to buy windows 10 cheap is the best option. In Windows 10 and I believe in virtually all versions of Windows, there are 3 kinds of licenses: OEM, Retail and volume licenses. Turning to this, I will explain the difference between the 3 types of license. These are the licenses that come preinstalled on the new devices you buy. They are valid for any type of PC and any brand. 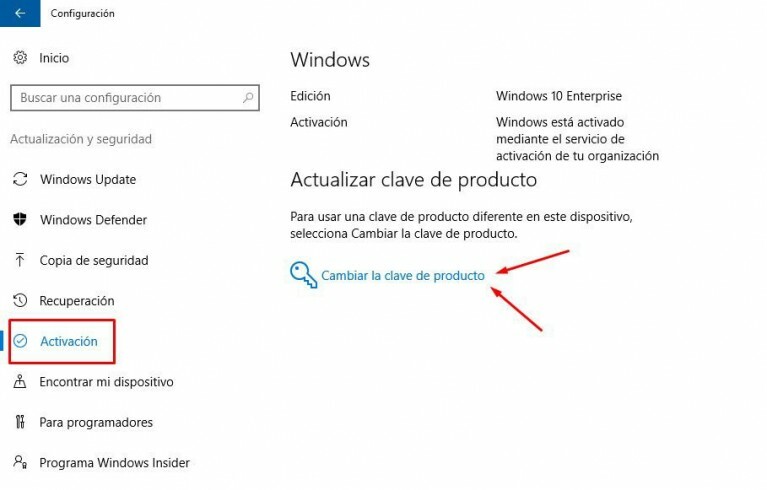 These licenses are multi-languages, meaning you’re good for windows 10 in Spanish. Buying the key from windows 10 was never so cheap and reliable. These are the licenses that you can buy in any store, you can go to Carrefour or even todowifi.es and buy a license that usually is worth about 200 euros. These licenses allow you to install them on the PCs you want, yes, with a great limitation, which can only be taken on one device at a time. These are the only licenses of windows 10 that cannot be obtained at a minimum price. Buying windows 10 retail is what big companies do. There are many different packs, I suppose even big companies can negotiate a price directly with Microsoft. This type of licenses are the ones that usually sell on EBay, in the end Microsoft detects fraud and deactivates it. That’s why it’s better to buy an OEM license for windows 10 pro than a GVLK. To finish telling you that buying a cheap windows 10 license as this is 100% legal, there is an EU law that allows you to sell used Software licenses. So you can rest assured that you are not committing any crime and above all that the license will never stop working and if that will let you upgrade your w10 like any windows license. If what you need is a Windows 10 home license you can also buy it at the same price, ie by 11.95. Windows 10 Home OEM License 32 / 64 Bits Multilanguage. OEM Lifetime License. As you can see is a very simple, cheap and legal system. Windows 10 was released on July 29, 2015 through an update that Microsoft recommended for all users of Windows 7, 8 and version 8.1. In the beginning, users were waiting to know the features that the new operating system had. 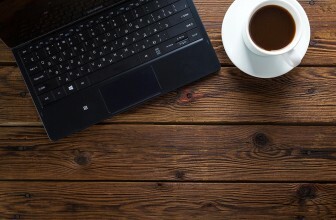 Changes in the use of the mouse and keyboard, with a practical interface. The Metro menu is hidden by facilitating the user experience. Simple start menu with moving tiles. Up to 4 windows aligned on monitor. Cortana, a virtual assistant who facilitates the tasks. Windows Hello makes it easy for you to start the password. Incorporation of Microsoft Edge, a new browser faster than Explorer. Phishing and malware security with a built-in protection system. There are already millions of users who have decided to upgrade to Windows 10, but Microsoft does not stop innovating and has released an improved version called Windows 10 pro with new utilities. I’m going to guide you so that you can download, install and activate this new and improved version of Windows 10 in a matter of minutes. 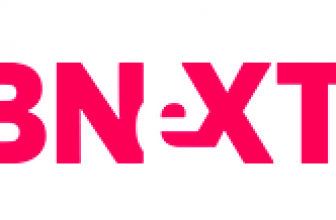 Acquire a retail license in Media Markt with a cost of 240 €. Buy a cheap Windows 10 Pro license for € 11.95 for a lifetime. Logically we recommend the second option since Microsoft allows to sell them wholesale and the cost per license of Windows 10 pro is much cheaper than buying it directly with them. Note: We do not recommend using “free” cracks and license activators that you can find on the internet. They are expired licenses that in the medium term you will appear security problems with new updates, putting your equipment at risk and your pc will end up not recognizing the license. In addition, manipulating original software is considered a crime. Apart from the large majority of Windows that you can download already created contains malware, which in the end will cost more because you will have to repair a laptop or PC and that costs money. The first step is to access the page where you will download the software. You can do it from here. 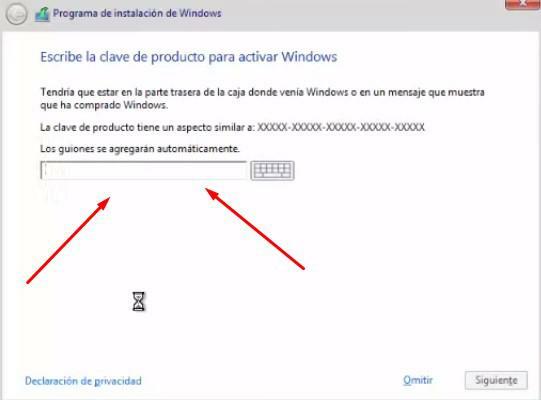 Click on the Windows symbol at the bottom left. In this case you should scroll on the screen and click on the blue box that says “Download the tool now”. 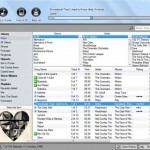 Then, a file will automatically be downloaded with the name “MediaCreationTool”. 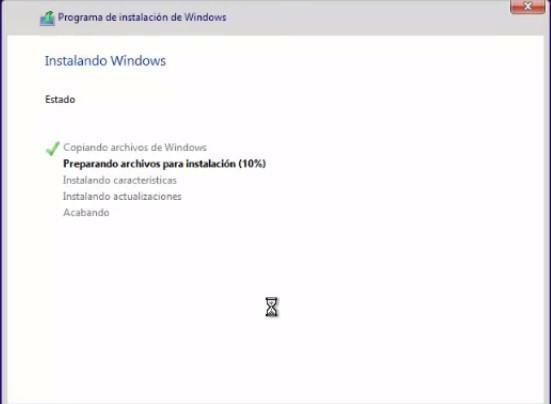 Now you have to click on that file and you will go directly to the installation program. The first step is to accept the license terms. Then follow other processes until finally the system updates everything and welcomes you to the improved version of Windows 10. External domain connection: You can connect your school, company or Azure Active domain to use servers, printers and network files. Custom applications: You have the ability to create a private application space to quickly access your company’s apps. Windows Ink: it is necessary to have a PC or Touch Tablet. Tablet mode: you can change the interface to your liking. 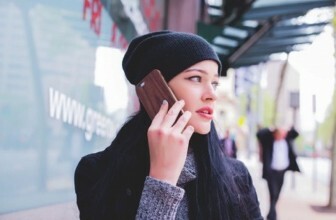 Continuum for mobile: now you can use your mobile phone as a PC, connect it with a keyboard, monitor and mouse or simply use the smartphone’s touchscreen as virtual trackpad and keyboard. Voice access, digital pen, touch screen and gestures. The Cortana wizard with new utilities. Adaptable connection to new 3D printers. In addition to these new features, the Pro version includes more advanced functions such as mobile device management and the Windows store exclusively for business, among others. Here you have a table with data obtained from the official website of Microsoft, although I sincerely doubt that a 1 GHz processor works correctly. 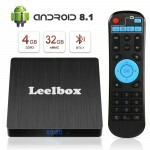 If you have any doubts in the installation leave a comment and we will try to help you in everything possible. Have you bought one of these cheap windows 10 licenses? Can you tell us your experience when buying windows 10 online ?, if so, leave a comment.